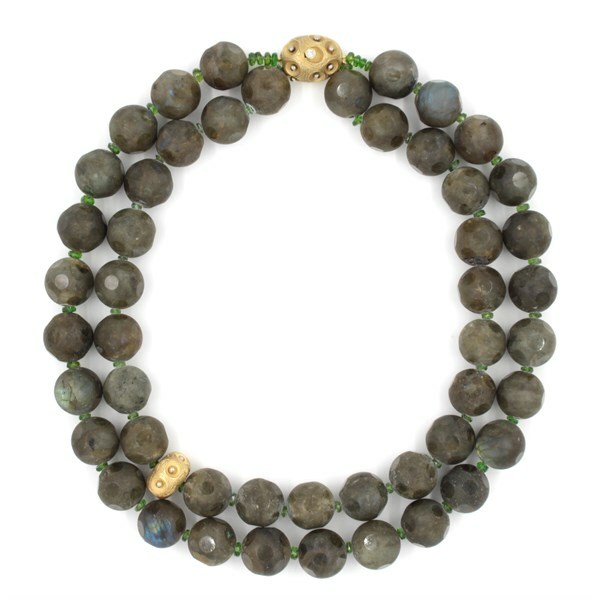 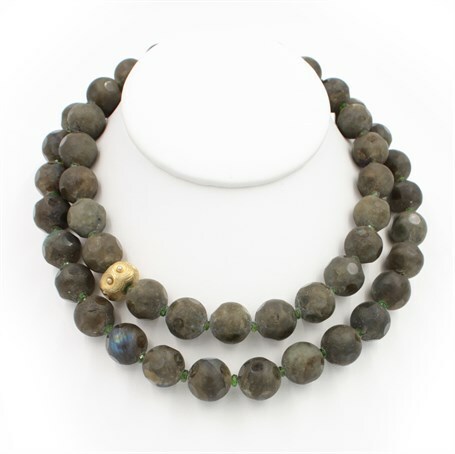 This elegant double strand necklace is made of specially cut gem quality labradorite beads. Each matte finish bead has a spattering of high polished circular shaped windows into the stone. This enhances the stone stunning iridescence. 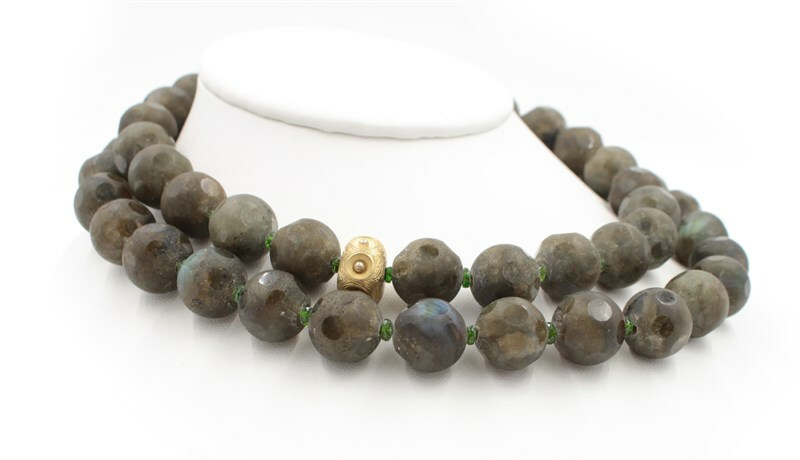 Between each stone are a selection of vibrant chrome diopside beads. 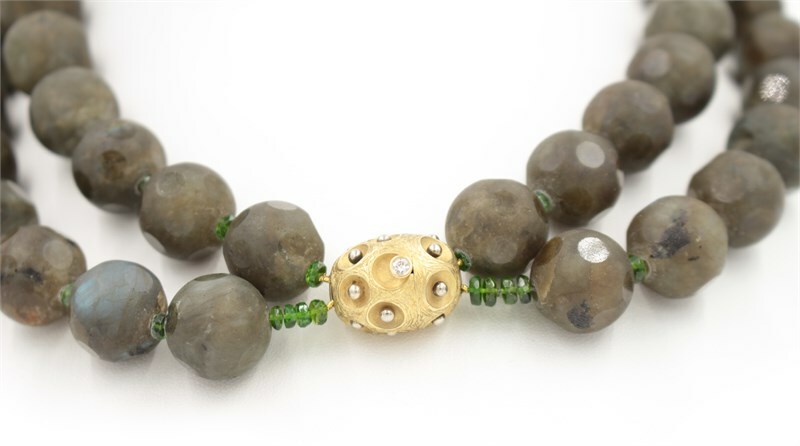 The piece is completed beautifully with an 18 karat yellow gold and diamond clasp.